The website www.culture.pl, managed by Adam Mickiewicz Institute. The Year of Zbigniew Herbert. On the 10th anniversary of the death of one of the greatest Polish poets, the Sejm [lower house of parliament] adopted a resolution, passed by acclamation, on declaring 2008 the Year of Zbigniew Herbert. The initiator of declaring the "Year of Herbert" was the then minister of culture and national heritage, Kazimierz Michał Ujazdowski. The Sejm session was attended by the poet's sister Halina Żebrowska and his wife Katarzyna Herbert. On the 10th anniversary of the death of the poet Zbigniew Herbert, one of the greatest writers of our time, the Sejm of the Republic of Poland wants to pay homage to an artist who - through creative references to its great tradition - enriched and strengthened European culture. In an age of crisis of values and painful despair, he stood firmly by his principles: in art - the canon of beauty, hierarchy, and craftsmanship, in life - codes of ethics clearly distinguishing between good and evil. To many, he was a tragic and indomitable writer, the personification of faithfulness - to himself and to the word. Bold and independent, in his poetry he expressed a love of freedom, and faith in the dignity and moral strength of the individual. He understood patriotism as a rigorous love which does not idealize, demanding of those who declare it not only sacrifices, but also enlightened criticism, not only lofty gestures, but above all work and responsibility. To the Polish language he brought a formula-commandment - the words "Bądź wierny Idź / Be faithful Go". Deeply convinced of the unique value of his literature, the Sejm of the Republic of Poland hereby declares 2008 the Year of Zbigniew Herbert. 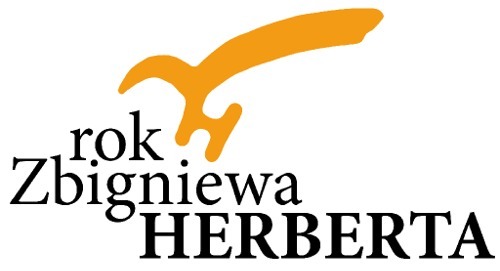 On 18 September 2007 the then minister of culture and national heritage, Kazimierz Michał Ujazdowski, appointed the Year of Herbert Organizing Committee (full list of members on the page "Programme..."). The motto of the YEAR is the quotation "We mnie jest płomień, który myśli / Inside me is a flame which thinks" from the poem NAPIS / INSCRIPTION. The resolution on declaring the Year of Herbert will be implemented through the ministry's new operational programme - "Herbert". Under the programme, funding may be provided to different projects, including cultural events popularising the work of Zbigniew Herbert such as exhibitions, workshops inspired by his writing, literary meetings, concerts, studies, conferences and academic sessions dedicated to the poet's output, monographs and publications of works by Zbigniew Herbert, multimedia projects popularising the work and life of the author of MR. COGITO as well as media projects (inserts in newspapers, radio programmes, etc.) - more information on pages http://www.mk.gov.pl (in Polish). Co-ordination of the most important projects has been entrusted to the Biblioteka Narodowa / National Library in Warsaw, where the legacy of the author of MR. COGITO has been housed since December 2006. The programme of the "Year of Herbert"
"A long time ago life taught me that 'great words' were indispensable, especially for the ordinary day. Without them, we are in danger of walking on all fours. Then I read Herbert: '...repeat great words repeat them stubbornly...'. So I repeat them. Stubbornly, i.e. in a very personal way - however I can at a given moment." To mark the Year of Zbigniew Herbert, the PROBALTICA Foundation of Baltic Culture and the Polish Composers' Union are announcing a COMPOSERS' COMPETITION - for more information, see POLMIC - "competitions" (in Polish).